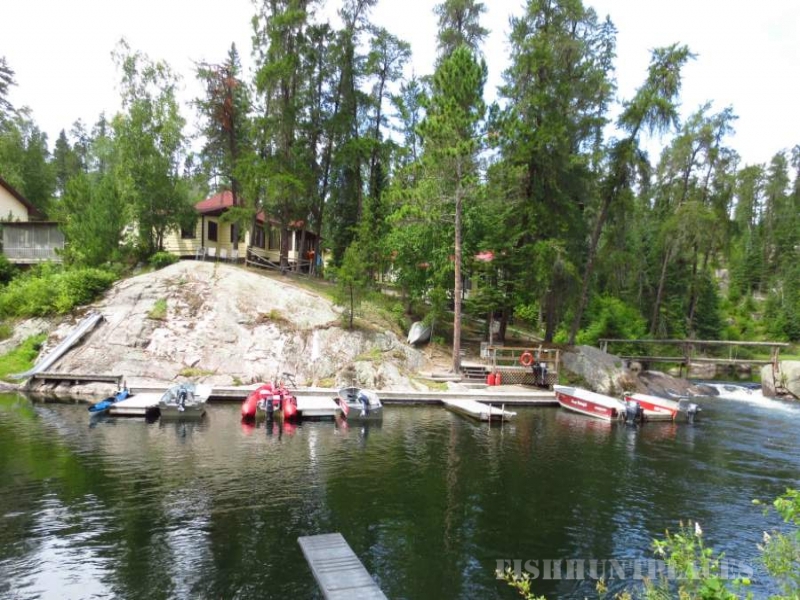 Camp Waterfall is a small fishing resort in a secluded setting, that is close to many amenities. The peaceful setting in the middle of an old growth pine forest, with a mesmerizing waterfall as the centerpiece, is a source of contentment for our guests. 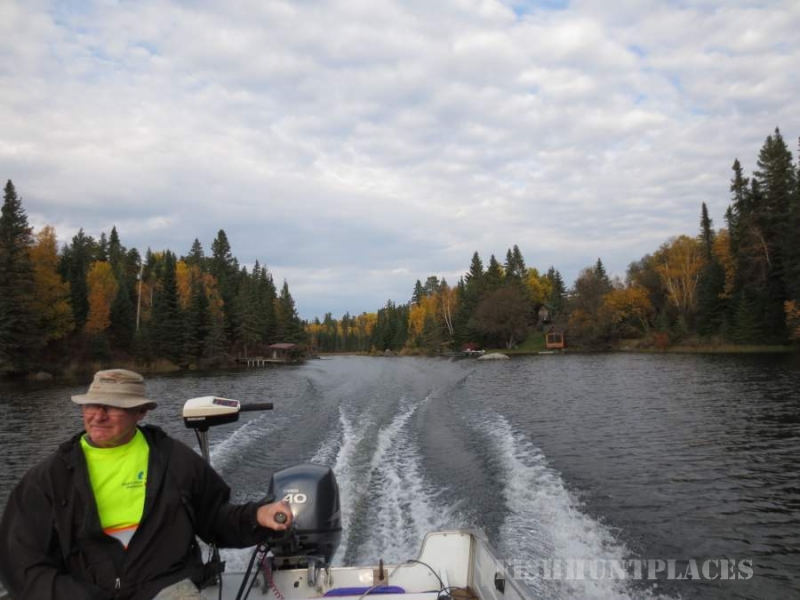 Our location on the edge of Rushing River is in the heart of Sunset Country, about 30 minutes north of Sioux Narrows and 25 minutes east of Kenora and is just 1 mile off of highway 71. We are fortunate in that we are able to provide memorable vacations for families as well as groups of fishermen. Children spend hours playing and swimming while fishermen have access to Lake of the Woods as well as Blindfold Lake. Our resort started as a “bunk-house” type fishing camp with a central lodge in 1939. Nancy & Rob Rummery purchased Camp Waterfall in 1975 and with the help of family have operated and improved the facility over the decades. We are humbled by the fact that we are able to serve the grandchildren of some of our original guests. In 2003 the part of the Camp on the east side of Rushing River was sold, but continues to operate as Rushing River Camp in conjunction with Camp Waterfall. Why should you choose to stay at Camp Waterfall? 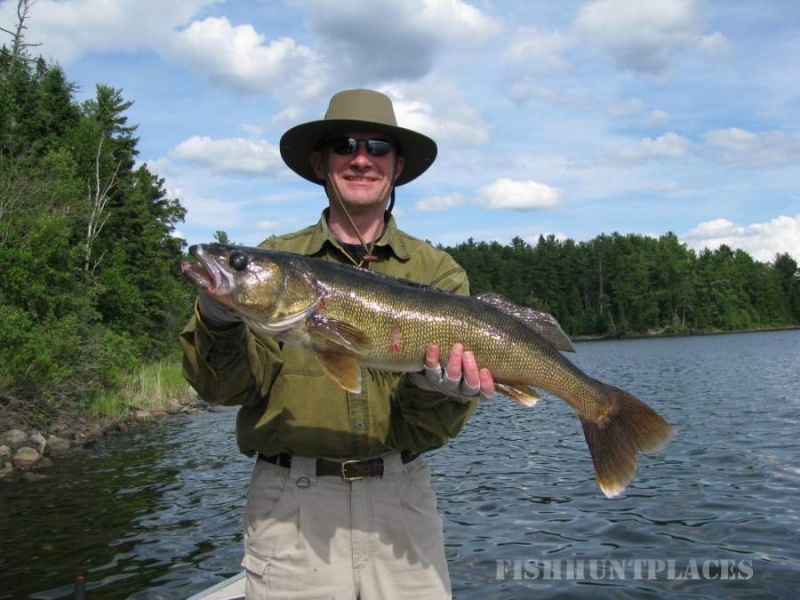 We are conveniently located, within 2 hours of the U.S. border by road, and provide the opportunity to angle for 5 of the most popular species of freshwater gamefish on Blindfold Lake as well as Route, Bigstone, Storm, and Moore bays in Lake of the Woods. Please note that each of these fish was released by our guests as we encourage the release of all trophy catches. Rushing River flows into Blindfold Lake ¼ mile below the camp. Blindfold has miles of shoreline untouched by humans. It provides many inlets, bays, and islands for good fishing structure. Its narrow and twisty shape makes it a very safe boating lake. Blindfold Lake produces great northern and bass action, as well as large numbers of crappie. In June, the fast water below the Blindfold dam can provide a full day’s entertainment fishing from the shore for bass and walleye. 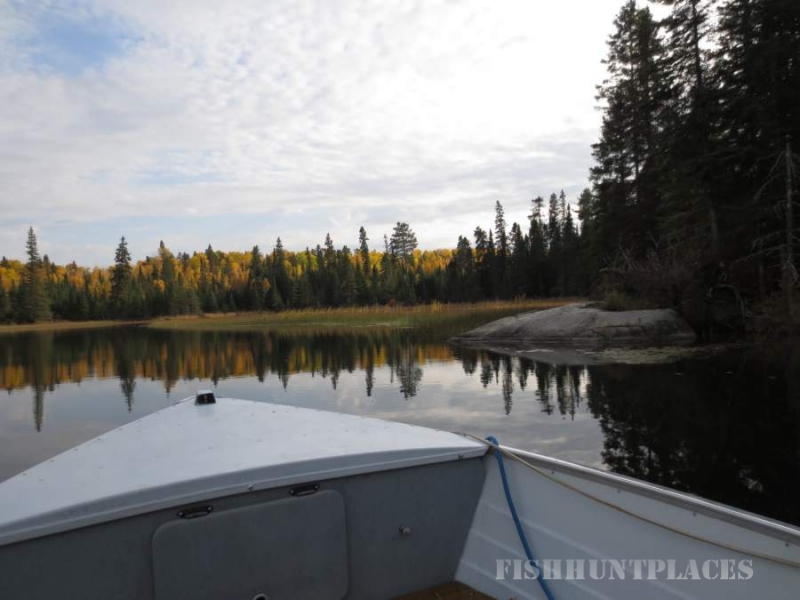 During May and June our guests use the tramway located 4.5 miles from Camp to access Route Bay for great walleye fishing in famous Lake of the Woods. Many groups enjoy shore lunch on one of the many islands you can access. Most of the fishermen who stay at Camp Waterfall are independent types who do not want a guide. For new guests we can provide detailed navigation maps marked with suggested fishing locations, or we can recommend a guide service. You can bring your own boat, or rent one of our 14 ft aluminum with 15 hp units. Guests use our efficient fish-cleaning house and then store their catch free of charge in the freezer.